It’s pretty safe to claim it as common knowlege that encouraging our children to be artistic is a must. We’ve all heard the rumors that cultivating those creative muscles and instincts from an early age is paramount to setting kids up for a life filled with imagination and the ability to cleverly problem solve. One mom who seems to be taking this sentiment to an all new, oh-so-sweet level is Leo Kids shop owner Julie Howard. Our team here at Glitter Guide have been long-time fans of Julie and nearly everything she does. We’ve followed along with the creative mama through her time as a brick-and-mortor shop owner, to her role now as online retailer extraordinaire. To say we’re smitten is clearly an understatement as we soak up her fearlessly fun aesthetic every day of the week. 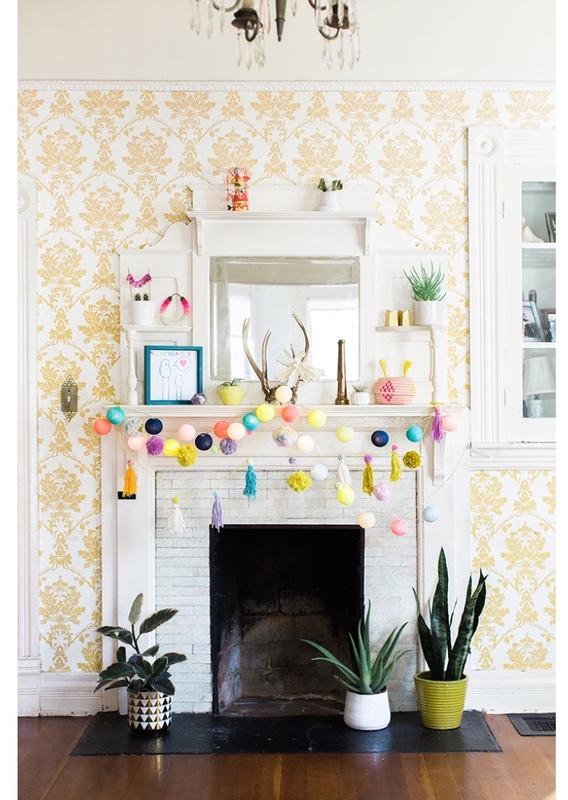 In case you, too, are looking for a little pick-me-up this transitional season, we invite you to step inside the colorful Victorian home of Julie below. Whether you find yourself taken in by her handmade woven wall hangings or the free-form artwork done by her kids, you’re sure to find some excuse to be whisked away into the Howards’ ultra-whimsical world below.